Sometimes, I let my mind wander back to the hospital bed. I hear the beeps on machines pumping to carry fluids in and take fluids out. I feel the pain in my stomach from a fresh incision. I roll my eyes at the doctor’s voice reassuring me that “checking out” my tumor area will only take a minute. But I try to only let myself stay camped in those memories for a second. Because there are better ones to be dwelt upon. This weekend was big for me. And it gave me many new memories upon which to dwell. But these aren’t filled with trips to the bathroom or toilet paper. Instead, they’re full of moments I realized how blessed I am to be a survivor. Minutes I felt so loved and supported. Situations that made me realize I’m not alone. 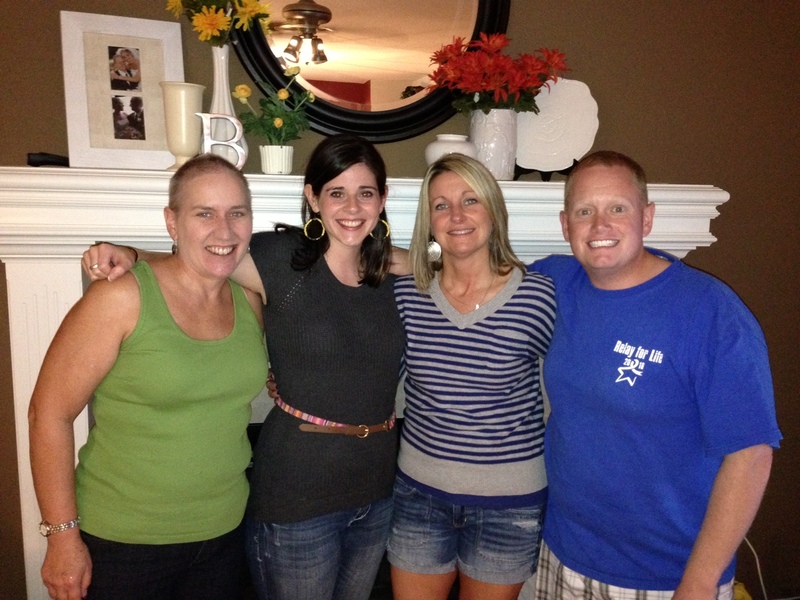 Instances that showed me I am strong. Over the weekend I took part in several events related to my colon cancer. 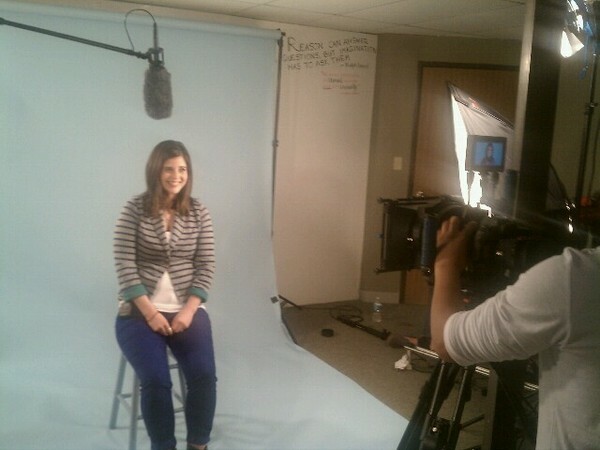 I shot a national PSA for Fight Colorectal Cancer. 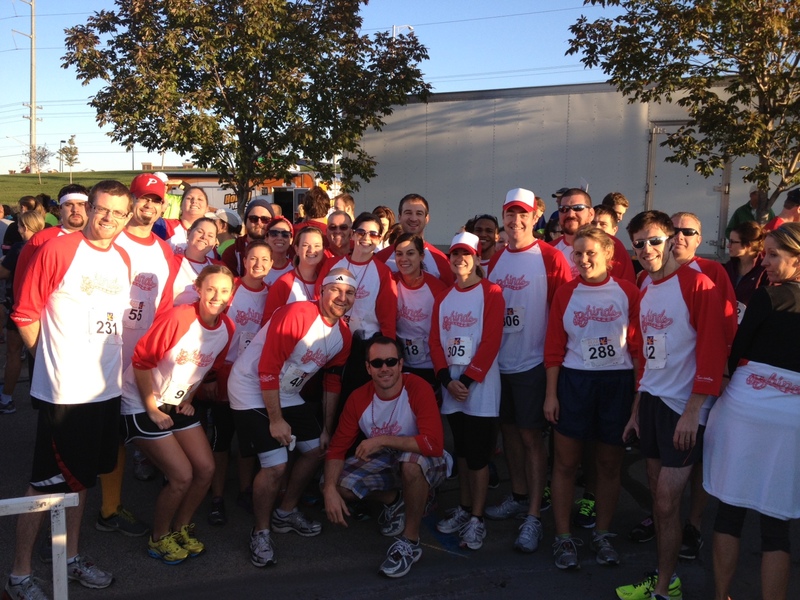 I ran in the Get Your Rear in Gear 5K in Kansas City with 50ish fellow team members, team B-Hinds. I had a “Colon Club” reunion with some fellow Colondar models. And most of all – I realized how lucky I am to still be here and going strong. All cancer races feel somewhat like a running cemetery to me – and I don’t mean that in a bad way. But many times it’s those who’ve lost a loved one that come out for cancer events. Many form a team and rally the troops as a way to have a very personal Memorial Day. T-shirts and signs displaying the years their loved ones lived and the battle they fought are all around. It’s very moving. Especially when you’re a survivor. At Saturday’s 5K GYRIG race, many t-shirts passed me along the 3 miles listing fellow survivors whose battles have since ended. 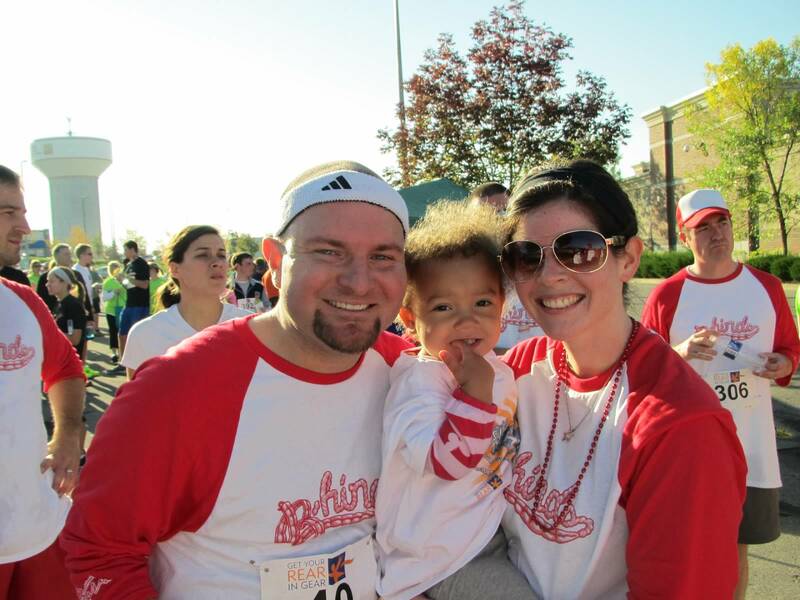 I realized how fortunate I was to be out in the crowd – running in my black tutu and red beads. My name was listed on the race roster as the B-Hinds Team Captain. Not on the back of the shirt as a beloved daughter, wife, mama and friend. Survivor’s guilt? Maybe just a little. After a weekend full of great friends, much love and a little sweat (I did run the whole 5K) – all I can really say is thank you. I’m blessed to still be here and have such an amazing community. And Jehovah-Rophe: God is my healer. 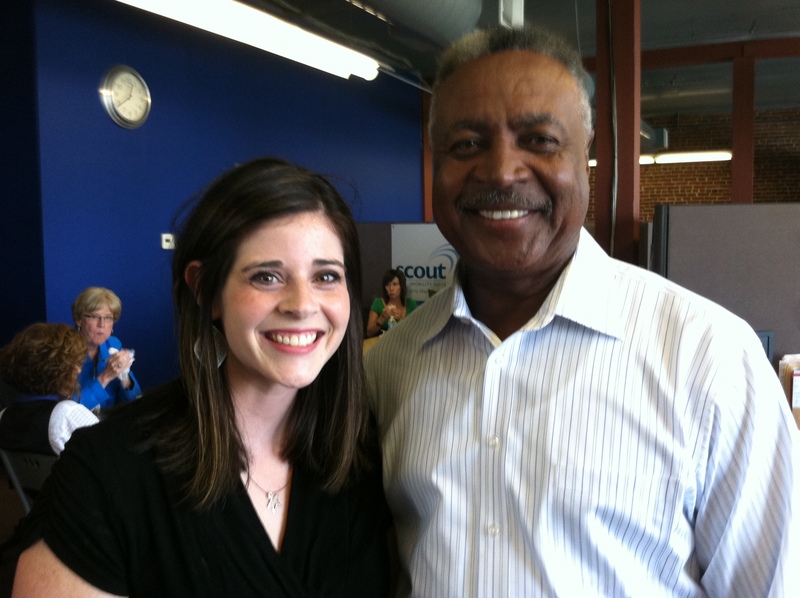 Did I mention that I got to meet Frank White at the PSA? 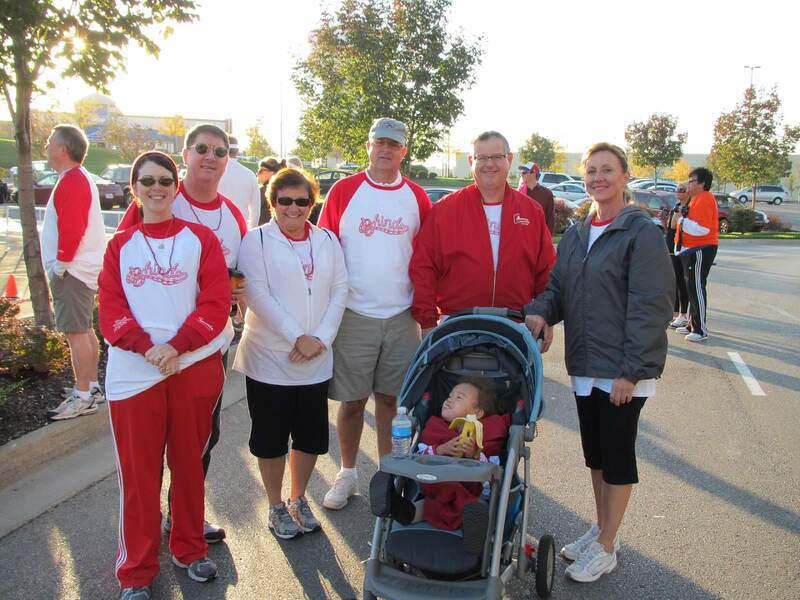 All of my parents (also now known as the grandparents) came out for the 5K! 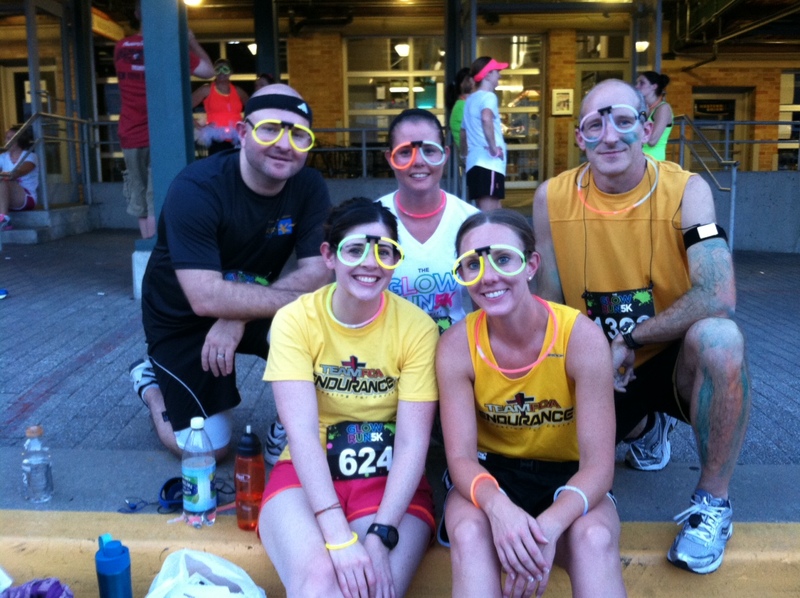 The runners from B-Hinds – we had 4 who placed in the race! Team B-Hinds ended up having around 50 people (including kids!) What an awesome experience! 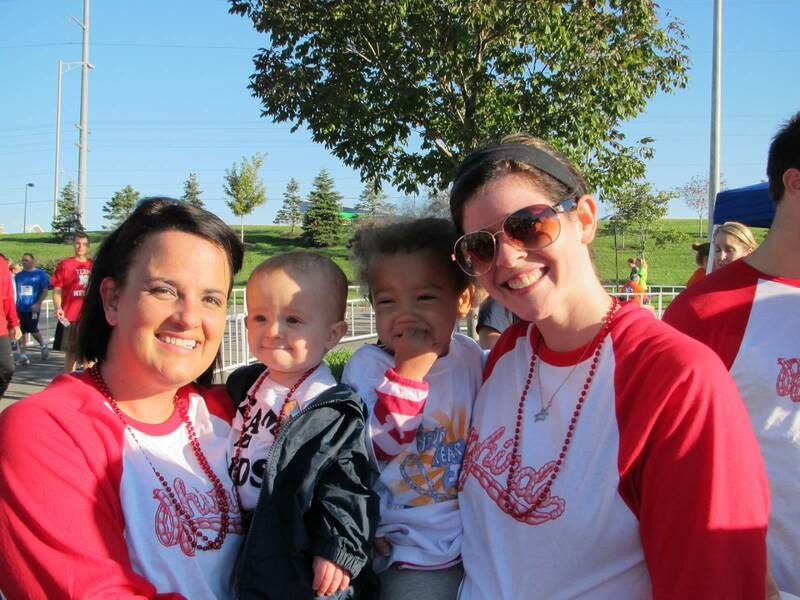 My dearest friend Ber traveled over 3 hours with her family and her 9 month old to be on team B-Hinds. “Twinsies” isn’t something I’ve ever really been “all about.” Just ask my husband. Days when we both choose to wear the same t-shirt, I insist that he goes upstairs to change before we leave the house… that is if I got dressed first. If he beats me to it, I quickly change my shirt. What can I say, I’m pretty independent. 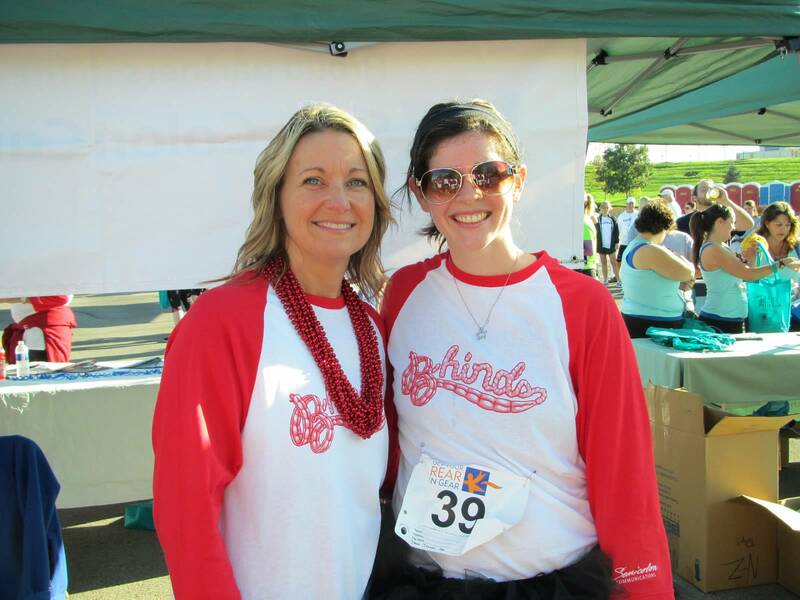 So when my friend Amy insisted that we wear the same t-shirt for our first 5K together, I instantly replied with a loud “no way.” It wasn’t enough that she was planning to run with me at my pace (albeit my post-hysterectomy/I’m just now running again pace) – but she wanted to wear the same shirt…. a bright yellow Fellowship of Christian Athletes shirt. I had no issue with representing FCA from a beliefs standpoint, however there was one small problem… I’m not an athlete. For weeks, Amy insisted that I wear the shirt and match her. And while I kept throwing out excuses like I hate dressing as twins (which is true), I continued to hesitate because of my fears of failure and judgement. I’m a slow runner, a 10-minute mile is a victory for me. So the fears of people laughing at a girl who’s “obviously not a runner” dressed in an FCA shirt flooded my mind. Despite my involvement in youth sports and freshman volleyball, I would never classify myself as someone who could properly represent the Fellowship of Christian Athletes. Plus, I wanted the “I’ve had cancer/I’m slow/It’s good enough that I’m here” pass. I didn’t feel like wearing the shirt would let me off that easy. Long story short, I finally caved. And I wore the shirt. And since that first race, I’ve worn it again. And I probably will wear it in the future. Because Amy’s persistent and gentle encouragement finally sunk in this past weekend. It’s not about being an athlete and wearing an FCA shirt. It’s about representing Christ while we run. 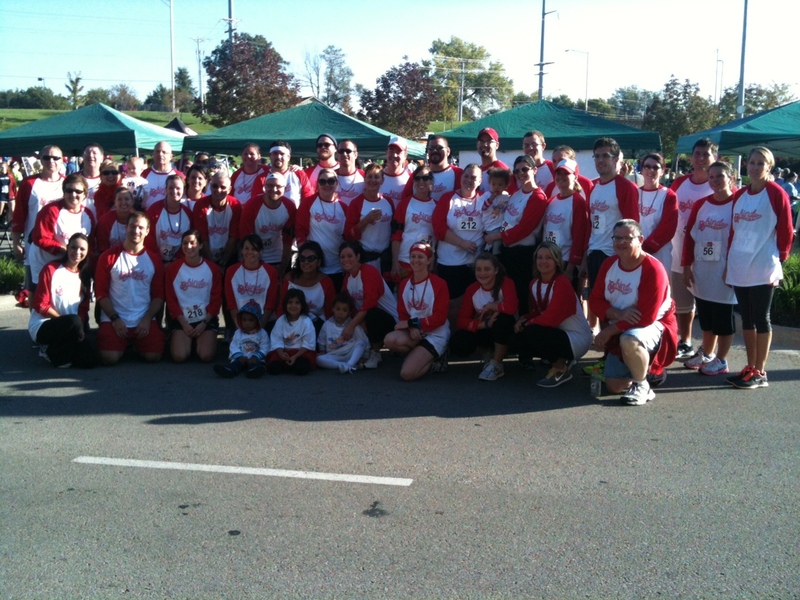 Friends from our church, The Avenue, running together! We race to represent Christ, we’re not out there on our own strength, and that we compete for the pleasure of our Heavenly Father … for the reputation of the Holy Spirit. 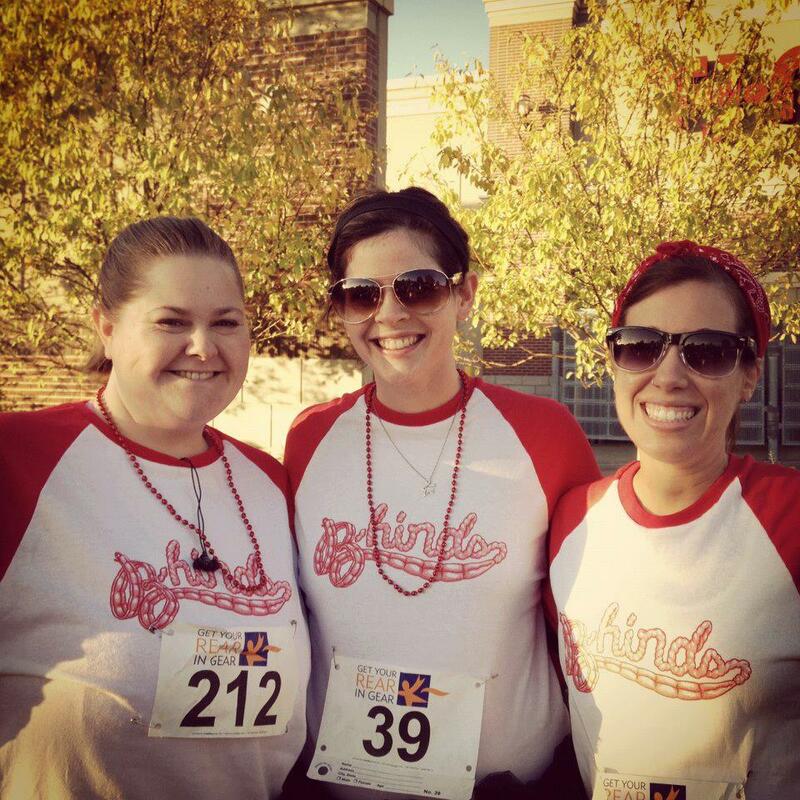 I came to realize this past weekend that even running a 5K can be a testament of God in my life. Especially since I’m living proof that God is a healer… it’s because of Him that I’m physically able to run and have such a great Gospel community to run with. And while I can’t share my story or evangelize during the 3.1 miles (nor do I care to…), I’ve realized that I can represent Christ along the way. I can pray for my city as I run its streets. I can be kind and friendly to the other racers. And I can represent Christ in the sea of darkness … even if that means becoming a “twinsie” and sporting the FCA shirt. Helping put the word out there for fellow local food connoisseurs … or those thinking about making the dive…..
I’ve had a few requests to start blogging some additional info about the organic/local food movement and steps to take if you’re new to the whole idea but want to slowly break into it. One of the first, and easiest, steps I took after deciding that I wanted to eat “safer” foods was to sign up with Fresh Connect. This is mainly for Kansas City-area residents so if you’re an out of town reader, I apologize. I’d encourage you to look around in your area for a food co-op, as many metropolitan cities have these. Also, a great way to get plugged into this movement is to become a Farmer’s Market shopper in a few months. But for my KC readers, Fresh Connect has helped me effortlessly start eating healthier, safer foods. A “to-your-door” delivery service, they deliver fresh produce and meat to your home as often as you choose. You select the quantity and frequency and leave the rest up to them. It not only saves you time if you have a busy schedule like ours, but it makes you eat healthier because you’re stocking up on fresh fruits and veggies instead of prepacked junk found at the store. We’ve also enjoyed the variety of foods we’ve branched out to eat. Foods like cabbage, beets, squash, buffalo meat, among others have made their way onto our menu and we’re enjoying this nice change! For our two-person family, we’re set up on a rotation to get a fruit & vegetable combo delivery two times/month. We also receive a delivery of meat the first week of each month. They have many options for food and deliveries that will fit any budget. We’ve chosen to devote around $100/month toward this food delivery. It’s cut down on our grocery spending too, as we now just pick up a few of the additional items every few weeks that help us prepare meals and lunches. I know this isn’t for everyone, but if you’re serious about eating more local, safe food this is a great first step. 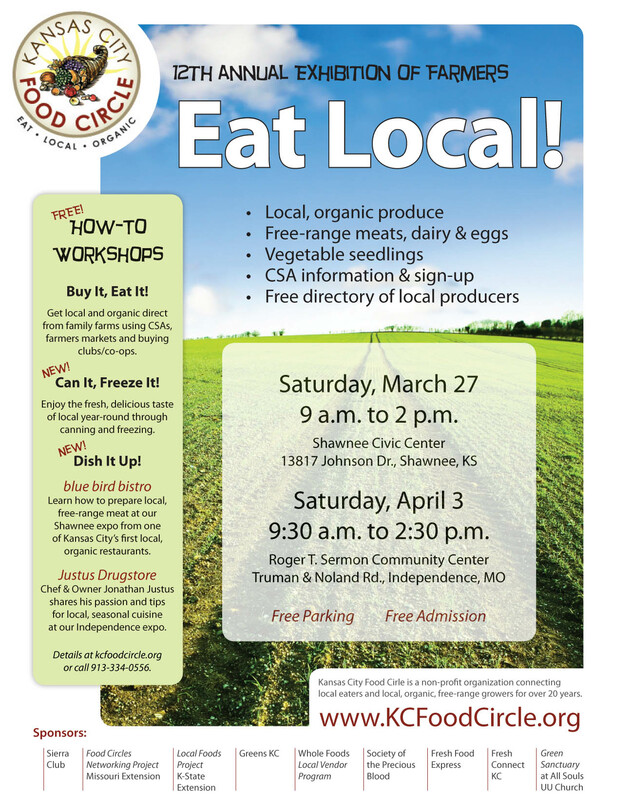 Check it out at www.freshconnectkc.com. ** Mention that I referred you, and we’ll both receive $5 off of a delivery! I’ve eaten like crap all day. It’s not necessary causing a horrible day bathroom-wise, it’s just made me feel funny. Maybe just a little “off.” But some days, I need to do this. To remember I’m still human, and experience what I have to be thankful for. In the season of Thanksgiving, I have much to appreciate. This entire year has been full of fear, suffering, pain and readjustment from a second colon surgery and second diagnosis of cancer. But looking at the experience that happened almost a year later, I am in a much better place than I ever thought I’d be. I’m able to still enjoy life. I let myself heal after surgery for a few months and tried to keep my physical activity to a minimum and eat very little, bland food. But after awhile, I started feeling better. I can once again eat the amazing onion rings at the cool bowling alley. I can visit “Kansas City’s Top Mexican Restaurant” and have a decent evening following the meal. I can go to boxing class again and run three miles. Sure, I’ve “gotta go” more than other people. But it’s so worth it now that I can finally live again. There’s a lot of grumbling to be had when you’re a semi-colon. It does make life harder some days, and is a huge pain if you combine the wrong food with the wrong stress level on the wrong day. But other times, it’s really not so bad. And thankfully for me, those other times are becoming more frequent than not. And for that, I am very, very thankful.